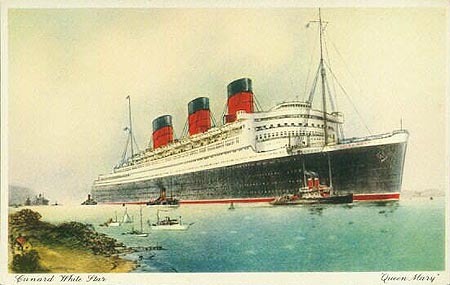 This page is devoted to postcards and photographs of the Cunard Line ocean liner Queen Mary of 1936. 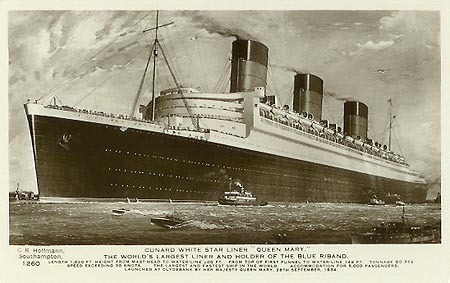 Queen Mary - Page 1 - Postcards in service - this page! 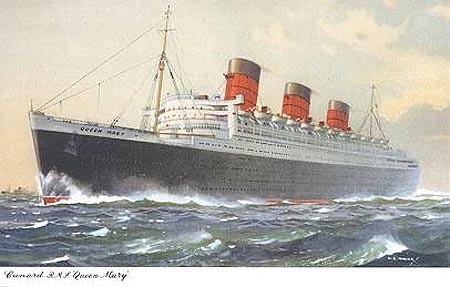 Queen Mary - 1936 - this page! 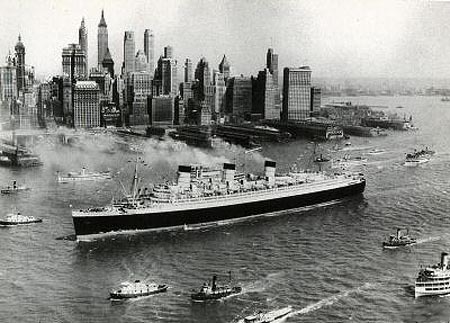 A modern postcard of Queen Mary's first arrival in New York. 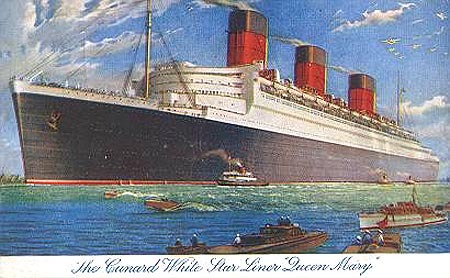 A Cunard Line official card of Queen Mary . 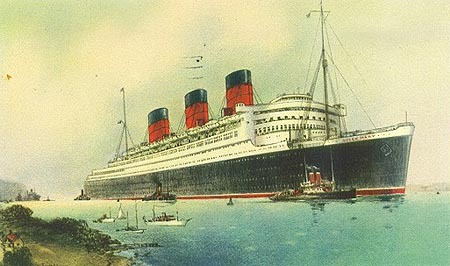 A Cunard Line official card of Queen Mary. 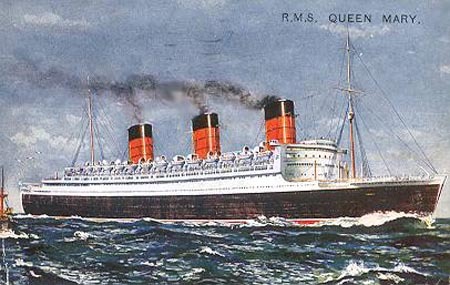 A Cunard Line official card of Queen Mary - bordered variation on the card above. 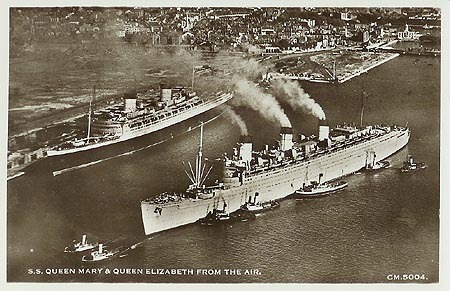 Photographic card of Queen Mary still in wartime grey at Southampton, with Queen Elizabeth. 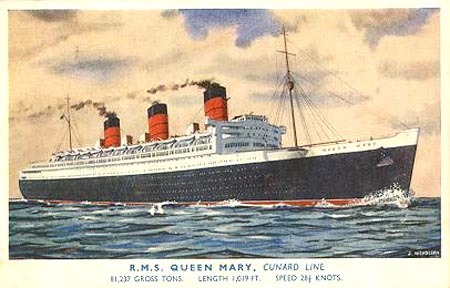 A Cunard Line official card of Queen Mary (serial number B.1380). 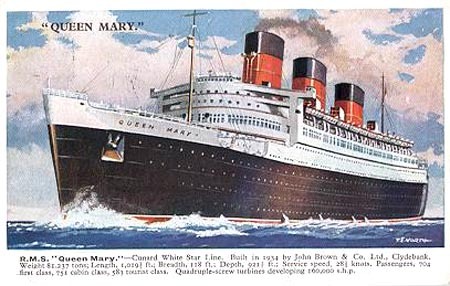 An official card of Queen Mary (serial number B.1866). 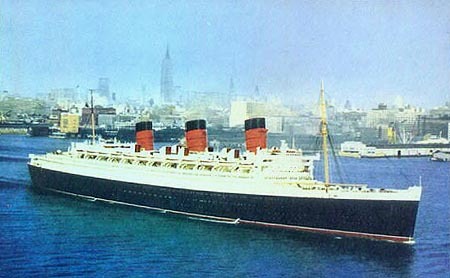 A Cunard Line official card of Queen Mary at New York. 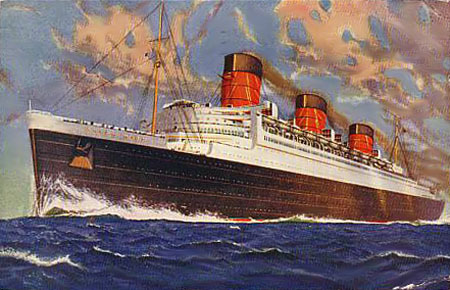 A J.Salmon postcard of Queen Mary (serial number 4506). A variation on the card above without the title. 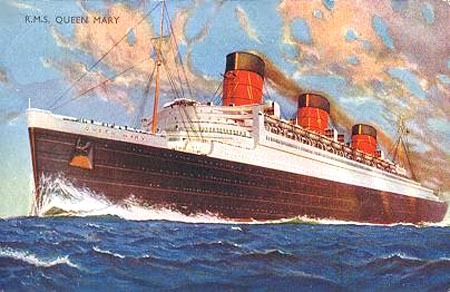 A J.Salmon postcard of Queen Mary (serial number 4306). 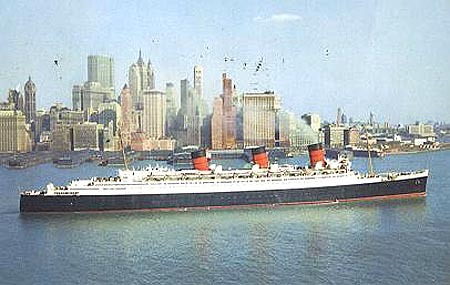 A USA postcard of Queen Mary. 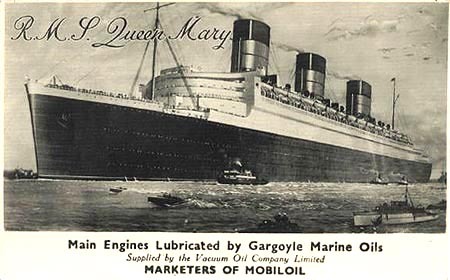 Advertising postcard (Gargoyle Marine Oils) of Queen Mary, using the same image as the Hoffman card below. 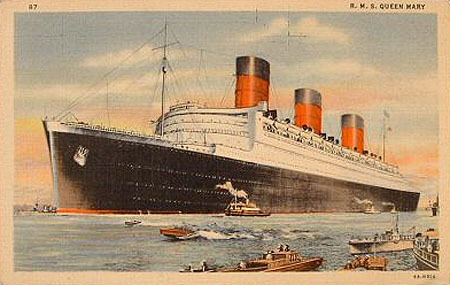 C.R.Hoffman (Southampton) postcard 1260 of Queen Mary. 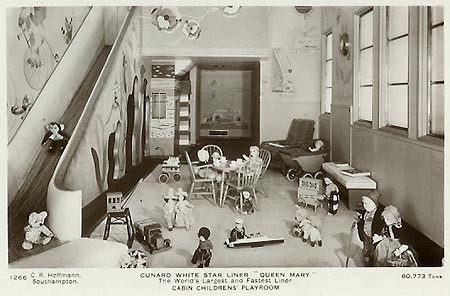 C.R.Hoffman (Southampton) postcard 1266 of Queen Mary - children's playroom. 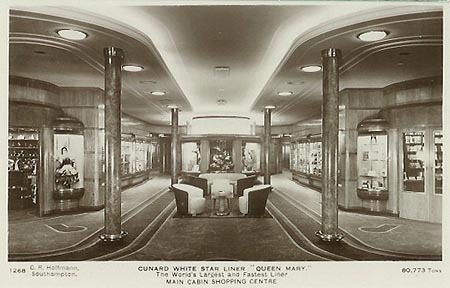 C.R.Hoffman (Southampton) postcard 1268 of Queen Mary - main cabin shopping centre. 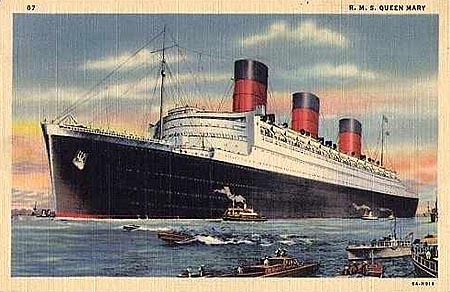 A J.Salmon postcard of Queen Mary (serial number 5304). 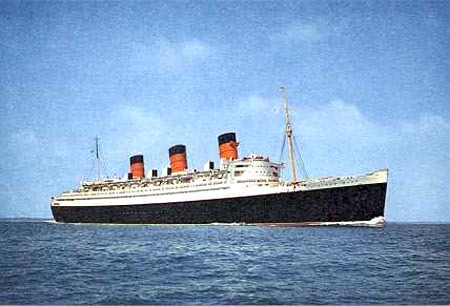 A Valentine's postcard of Queen Mary (serial number 1958). 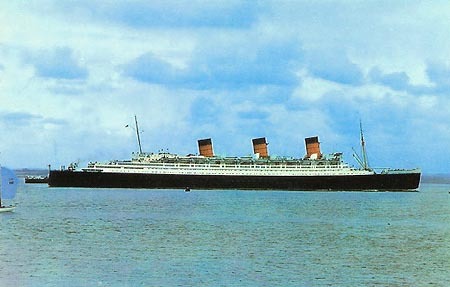 Photographic postcard of Queen Mary at Southampton. 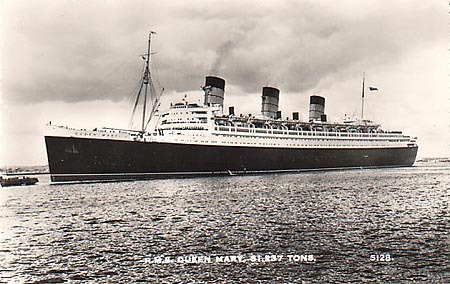 A J.Arthur Dixon postcard of Queen Mary (serial number SS.125). 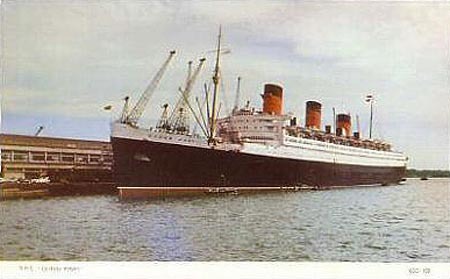 Jarrold postcard of Queen Mary at Southampton. 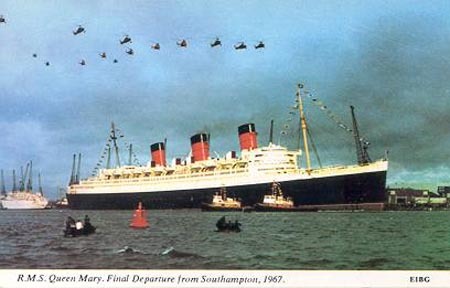 A Harvey Barton postcard of Queen Mary's final departure from Southampton, October 31st 1967 (serial number E1BG). 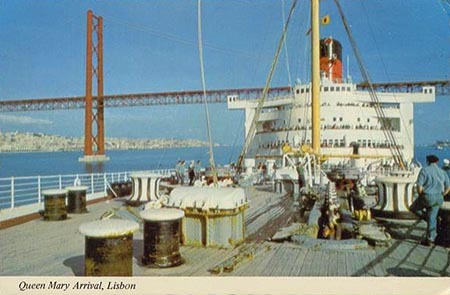 Queen Mary at Lisbon on delivery cruise to California. 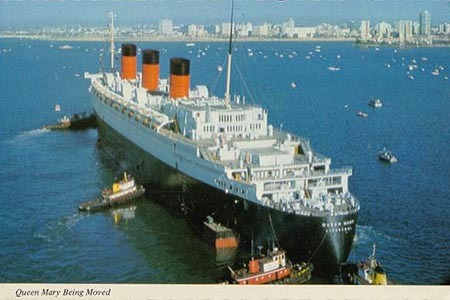 Queen Mary's arrival at Long Beach, California.